Education is a pathway to change and our structures can be an exciting learning opportunity. Natural Building reunites us with our roots; teaches us to compliment and celebrate nature in our built environments. It promotes an awareness on minimalism and how our choices have a ripple effect on everything around us. 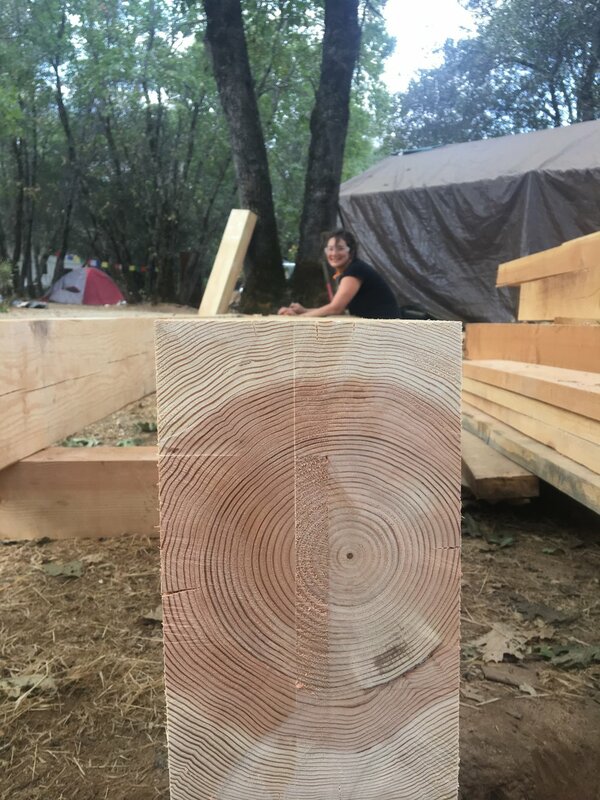 Inexpensive, local and abundant materials partnered with simple techniques create opportunity for a deeper connection with our natural environments and the community around us. It is empowering to people of all ages and experience levels; working together to CREATE. Through workshop education students and homeowners can experience this and learn to build more naturally in our environment. Many muddy hands make light work. Consider hosting a workshop on your site. We can help you with your design and planning to host a workshop that will support getting your natural structure built. A project specific curriculum will be developed and we can work together to create a timeline that best suits your needs. Workshops can be offered anywhere as we have travelers among our natural building directory! Want to host a program on your building site? Interested in hosting an educational program on your site? We organize 3 month long internships, week long workshops, 5 day, 3 day and even 1 day workshops. The duration is dependent upon the client specific needs. Multi-day programs typically providing camping accommodations and sometimes provide food. Each program is designed custom to the client, site & climate specific needs. No two programs are exactly alike. Find more information below, including why we believe our mission is of importance! 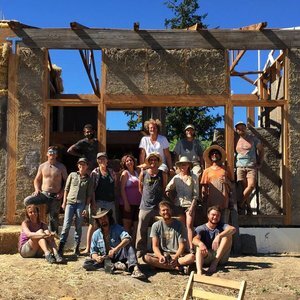 Our programs are designed to educate and empower people to learn the skills necessary to start their Natural Building journey. As a host, you will be supporting this education by offering a hands-on learning experience on the structure that you desire. The hands on learning will provide labor on the structure being built in exchange for camping space & facilities for the interns and intern facilitator. This labor should be viewed as partially offsetting the cost of labor on the project being built. It is not a full labor exchange as the project will take longer to complete than the actual intern program. It is a great way to support education and offset costs, making the structure more affordable. It is important to understand that interns are primarily there to learn new skills and gain experience, they are not to be viewed as “free labor.” Seeing people as free labor creates an impact on the energy of the worksite and could mentality create a work environment where participants start feeling exploited and lose motivation to continue building. Natural building is mentally and physically laborious and we want to create a supportive learning environment while providing the host with a beautiful creation built with many hands and happy spirits. 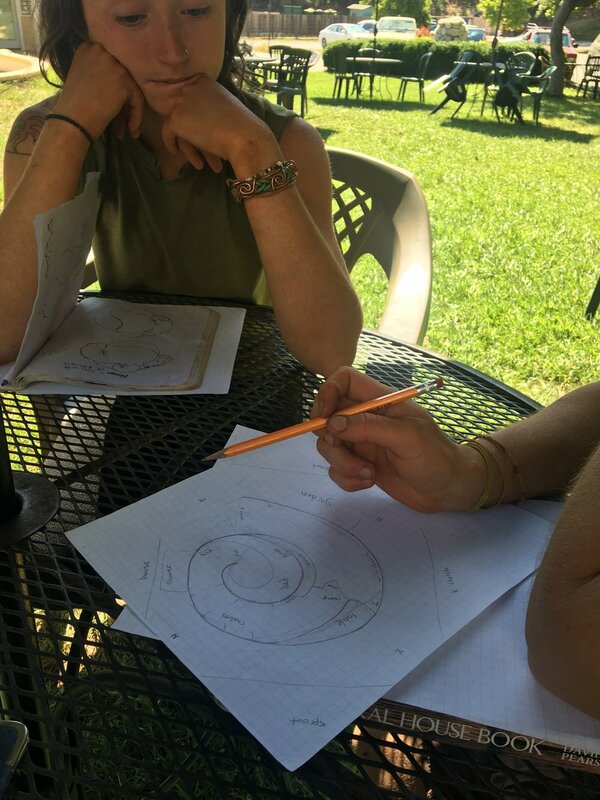 As part of the learning experience the facilitator and instructor will thoughtfully guide participants through the various stages of building. The participants will most likely be beginners which means they will not be experts. We will ensure that everything is structurally sound but depending on the project we may recommend hiring our design build crew for parts of the building construction to ensure quality craftsmanship. Recommended stages are; foundations, framing, roofing and finishes. Natural building wall systems, plasters, sculptural details, interior elements, etc. are easy to learn and require little to no previous skills. If the project is small, we may be able to get the bulk of the work completed with interns and if not we will be there to support you in knowing your options for how to complete the project to your liking. The Program Director will work with you to create a custom plan tailored for your specific needs and desires.